According to the report, the dairy sector can expect further recovery in 2017, with market fundamentals likely to support milk prices in 2017 and restore healthy profit margins to dairy farmers who have been through two difficult seasons. The beef sector will struggle in 2017 as record beef production translates into weaker export prices. 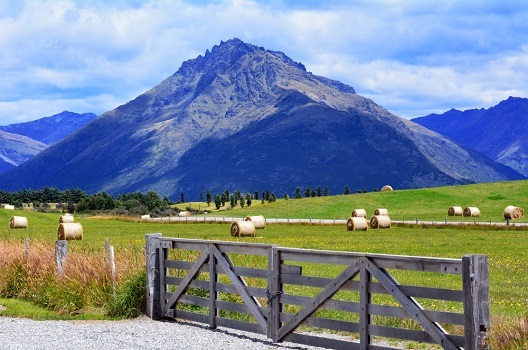 According to Rabobank Country Banking general manager Hayley Moynihan, “Record global beef production will see downward pressure on New Zealand cattle prices while the strong New Zealand dollar is the major headwind for greater sheep meat returns during 2017." While demand will remain strong for sheep meat throughout the year, Chinese buyers are likely to remain quiet when it comes to wool. The horticulture sector can expect a bumper year according to the report, with good crops expected for avocados, apples and kiwifruit and demand from Asian markets likely to remain healthy. Prospects for the wine sector are also strong, with good grape prices in 2016 likely to continue for much of the year. Rabobank have also forecast rising fertiliser prices this year, with the New Zealand dollar expected to fall as fiscal stimulus measures in the US are put into place. According to Hayley Moynihan, international trade is the big issue of 2017: “The industry will be keeping a close watch on global trade developments in 2017 following Donald Trump’s election in the US and the resulting breakdown of the Trans Pacific Partnership (TPP) agreement ... The breakdown of this agreement brings with it increased risk of an escalation to rising protectionism already evident through the last few years in many parts of the world, as well as increasing the importance of this year’s trade negotiations with China – on an improved Free Trade Agreement (FTA) – and with the United Kingdom and the European Union on FTAs."